A chama involves holding numerous meetings with the members to get things done. Whilst many of us approach the chama meetings in a casual fashion, where discussions are made orally and nothing is taken down, it is important to embrace meeting minutes. This involves noting down whatever is discussed in each meeting, typing out the notes and distributing to members and keeping a copy in a file for future reference. So, why do we need minutes? You may wonder. Well, they offer legal protection. Minutes are important details that you can’t ignore if you want to keep your chama in line. Minutes represent the actions of the chama members, and are considered legal documents. For example on one of the chama meetings, one of the members wants to pull out and needs her savings back. The chama hands over the cash to her during the meeting and bids her goodbye and nothing is written down. Later on if she comes back and claims that she is still in the group and that she was not paid her dues; the chama has no leg to stand on. And since you have no record on what was done, it may be difficult to prove. Also, legal experts will maintain that if an action isn’t in the minutes, it didn’t happen. Besides legal protection minutes drive action. Good meeting minutes help drive a plan ofaction for the chama. They clarify how, when, why, and by whom decisions were made. They map out a plan for the action items — which helps get the work done — and they later provide valuable information to those chama members who aren’t able to attend the meeting. 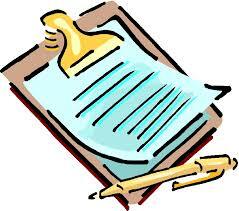 A record of the action items agreed to in a meeting is especially useful with chamas. Reviewing the action items from a previous meeting makes it easy to know what still needs to be done. This review gives chama members incentive to get their tasks done prior to the meeting. Minutes also act as a measuring stick. Minutes record meeting decisions, which makes them a useful review document when it comes time to measure chama progress. They also act as an accountability tool because they make it clear whose duty it was to perform which action. Plus, each person in the chama meeting will have their own perspective of what occurred and what was decided. By having the decisions recorded and printed as part of the minutes, there is one official version of the decisions made if there are misunderstandings in the future. Now, that you know the importance of taking minutes in every chama meeting; the next task is to assign the recorder. It is probably true that many chama members like to shy away from this task. The truth is, the last thing chama members want to do at a chama meeting is to take the minutes, but it’s an important and often necessary task. Because accurate minutes are essential, the chama should appoint a secretary who will be responsible for this task. The chama leader cannot do this as taking thorough notes and also actively participating in the meeting can be challenging. Thus it’s often best to let someone else take notes. The secretary should record the decisions, action items and discussion in the meeting in a clear, but concise way. Overly lengthy notes may not get read.